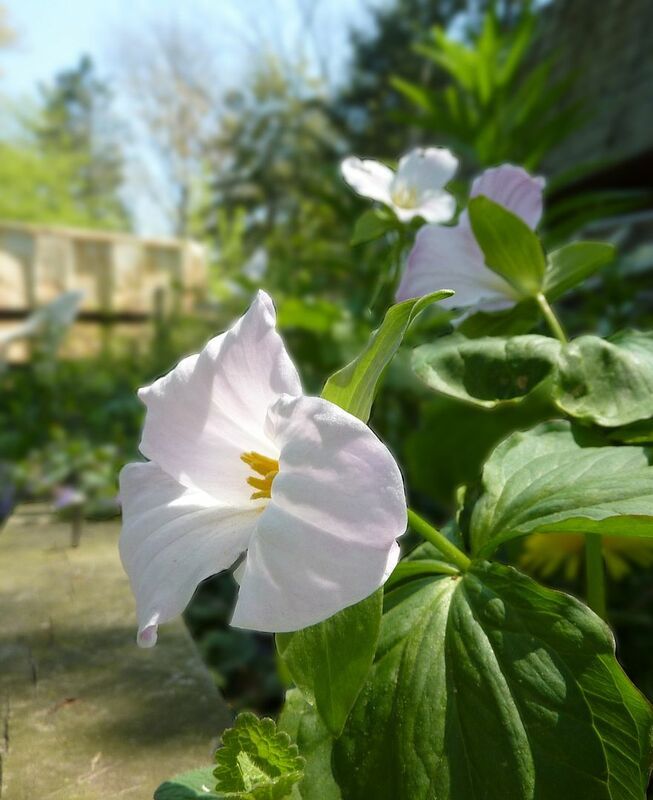 This week was when the Trilliums really seemed to peak out in the garden. 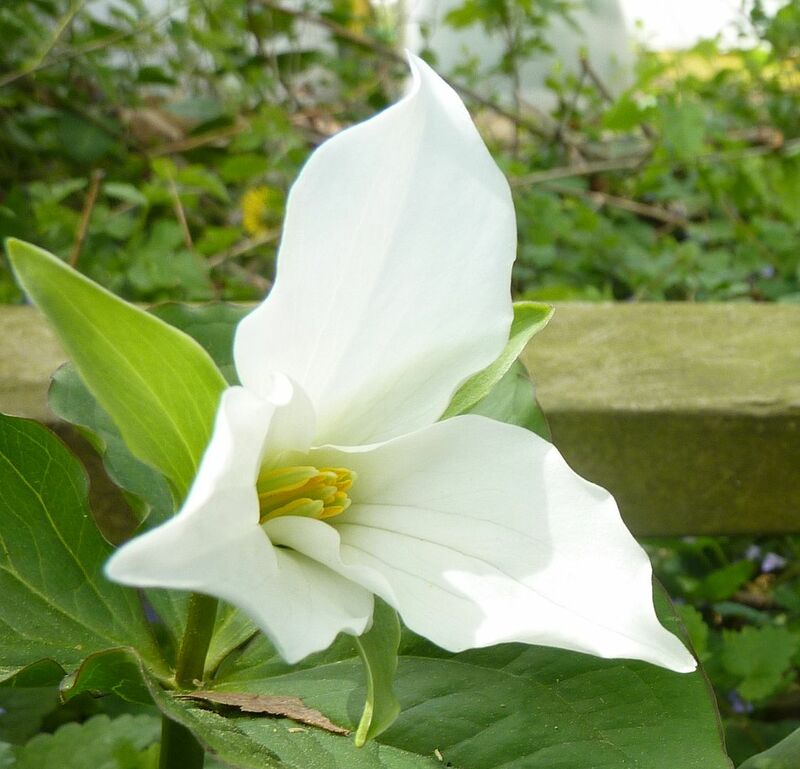 Trillium grandiflorum has this wonderful white flower that lasts up to two weeks. Most of the first week it's a pure white color, then entering the second week it turns pink and magenta.This plant is stunning if you ever see it growing in mass over a forest floor. It's also a shame this plant isn't more widely distributed by reputable sources. Even when it's nursery propagated though they tend to be very expensive. 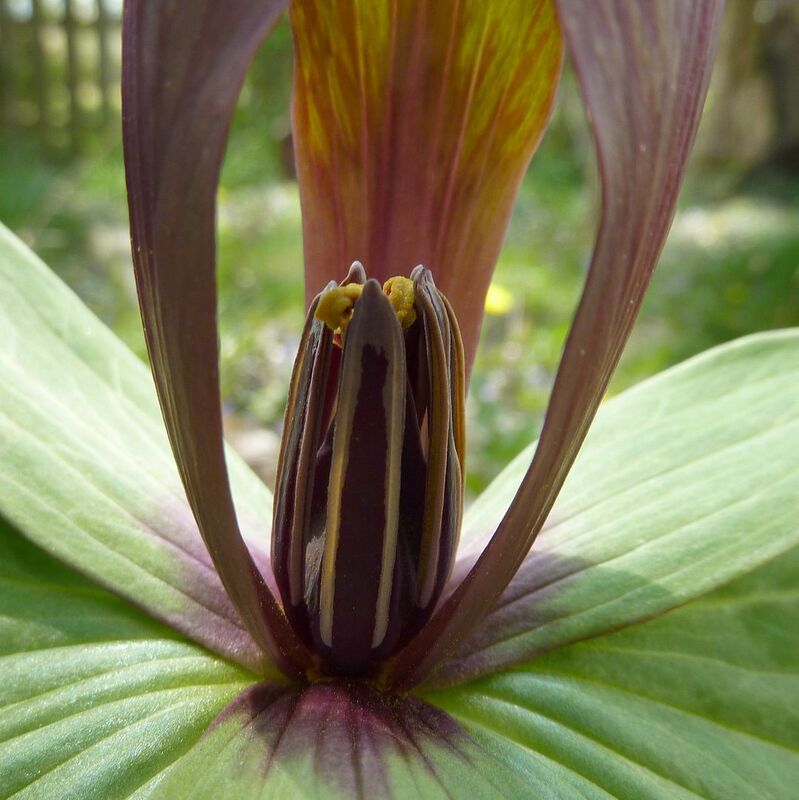 I believe every gardener who has a shade garden should own at least on Trillium. Over the years it will form it's own little clump and and if it's producing seed it may multiply considerably over the next decade. 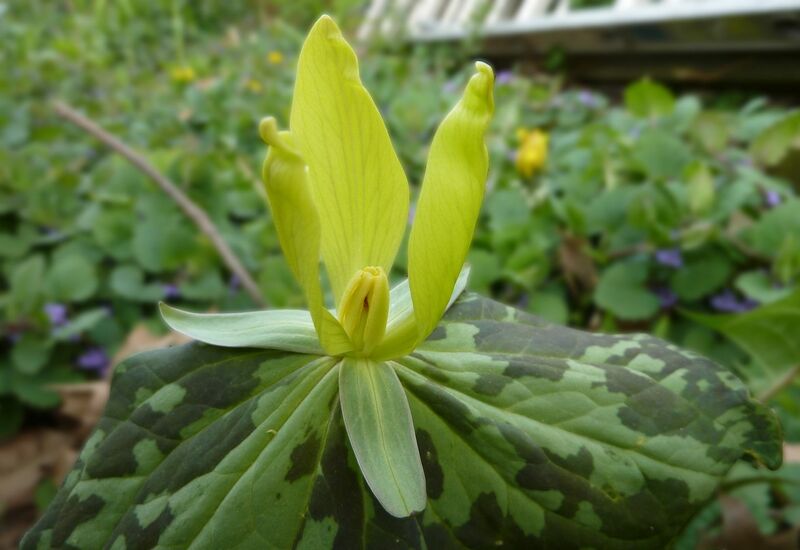 Trillium luteum is one of the few yellow flowering species. It's charm is its matted leaves and sweet lemony scent. Trillium viridescensflies is another one that does well in my garden. At sundown they start producing the scent of rotting fruit and flies are quick to flock to them. 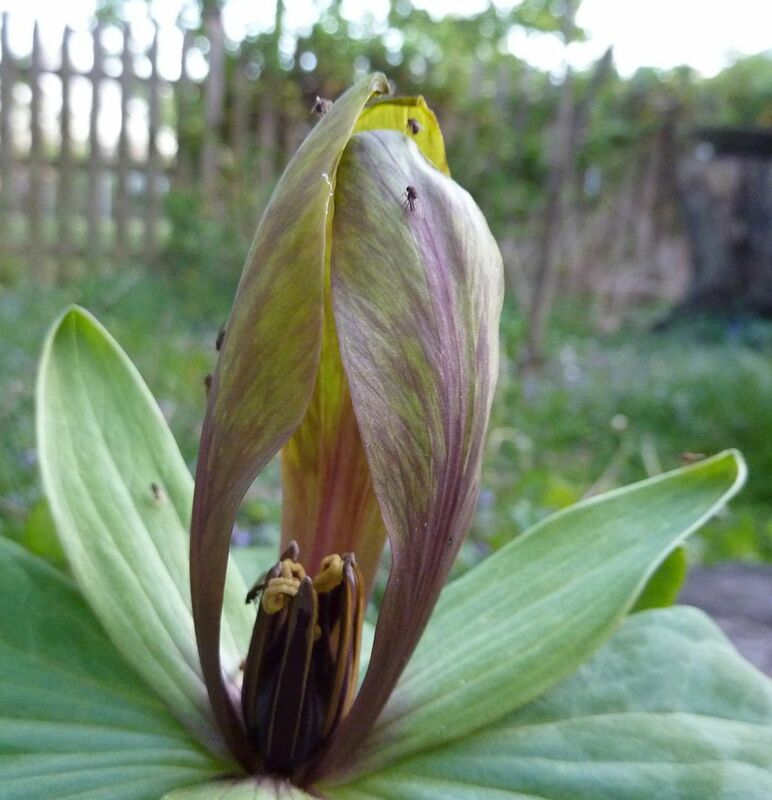 I believe this benefits other Trillium species that happen to be growing around them as the flies will occasionally mistake them for the Trillium they want. Flowers are very architectural looking. But of course anyone who knows about Trilliums knows that I really grow them for the Ants. Every August they go to seed and the ants start distributing them around my garden. I should really start planting a few of my own and try out germination methods, rather than letting them spring up at the mercy of the lawnmower.